Man sentenced for stealing IDF weapons, throwing IDF grenade at apartment building in Rishon LeZion. Tel Aviv District Court Judge Mordechai Levi sentenced Avi Nisan to 36 months in prison and ordered him to pay NIS 8,000 ($2,290) in compensation for throwing a grenade in Rishon Lezion in December 2014. Nisani was convicted of attempting to destroy property with explosive materials, possession of firearms, possession of a weapon, car burglary with intent to commit theft, and other offenses. 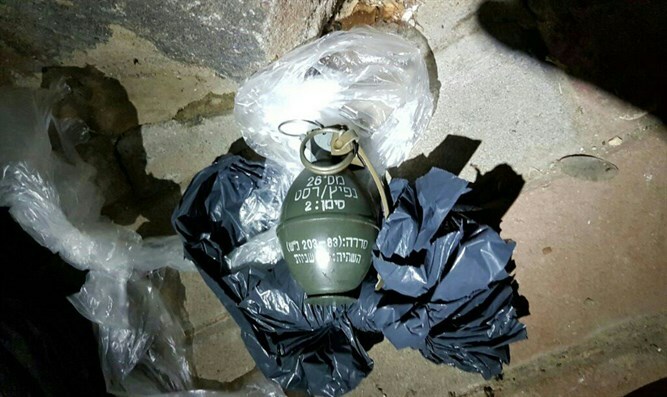 According to the amended indictment, one night in December 2014, Nisani threw a stolen IDF grenade he had in his possession at an apartment in a residential building in Rishon LeZion. The resulting explosion caused the formation of a pit in front of the building. Nisani fell and injured his leg when he threw the grenade, and was treated at Wolfson Medical Center. According to the second charge, Nisani discovered early that an IDF major was sleeping in a parked vehicle in Bat Yam, and that an IDF weapon, an M16 assault rifle, was placed in the back seat of the vehicle, along with other weapons. Nissani came riding on a motorcycle to the vehicle. Then, the defendant broke the rear right window of the car with a rock and stole the weapons. Nisani immediately fled the scene on his motorcycle with the stolen weapons. Nisani pled guilty under a plea bargain. The court ruled that "the offenses for which the defendant was convicted are serious and held a great potential for danger. However, the defendant does not have a burdensome criminal record and [therefore] the plea bargain is reasonable under the circumstances of the case, taking into account the assumption of responsibility on his part for the offenses for which he was convicted and the saving of the court's time. I therefore decided to respect the plea bargain.